WordPress has just released version 4.8, named “Evans” in honor of jazz pianist and composer Bill Evans. 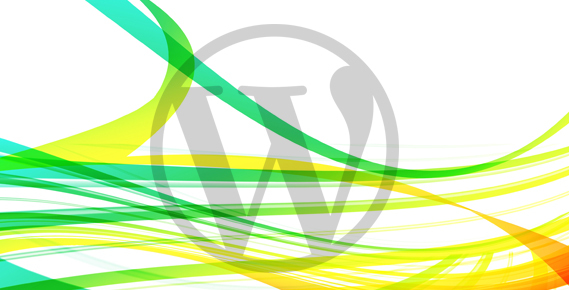 Learn about the new WordPress v. 4.8 updates here. WordPress has just released WP version 4.8, named “Evans” in honor of jazz pianist and composer William John “Bill” Evans. WP 4.8 Evans, released on June 8, 2017 contains a number of updates that provide more ways for users to express themselves and for businesses to represent their brand. These widgets let you add content from your media library and media stored in other servers or storage locations (e.g. 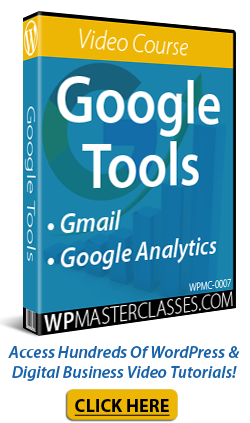 Google Drive, Dropbox, Amazon S3, etc.). WordPress has introduced a new feature called Link Boundaries that fixes common issues users experience when trying to update a link or the text around a link and can’t seem to edit it correctly. WordPress has a thriving offline community of developers and users with groups that meet regularly in more than 400 cities around the world. These groups include WordCamps and WordPress Meetups that allow you to continue improving your WordPress skills and meet new friends. Being part of the WordPress community can help you improve your WordPress skills and network with other WordPress users. Now you can easily find your local events by logging in to your dashboard and looking at the new Events and News dashboard widget. Depending on whether or not you are interested in attending WordPress events, you can hide the WordPress Events and News widget or make it more prominent in your dashboard. In addition to the improvements and enhancements listed above, v. 4.8 also includes many other enhancements and bug-fixes. Search online for any problems or issues that other WordPress users may be experiencing with the new version. This includes incompatibilities and conflicts with plugins, themes, and other issues (just search for something like “WordPress 4.8 Evans problems” or “WordPress version 4.8 Evans errors”, then go through some of the results to see what kind of issues and errors users are experiencing). If you don’t want to perform site backups, then get professional WordPress help services, or use WordPress backup plugins. Note: Some images on this page have been sourced from WordPress’ own release material. 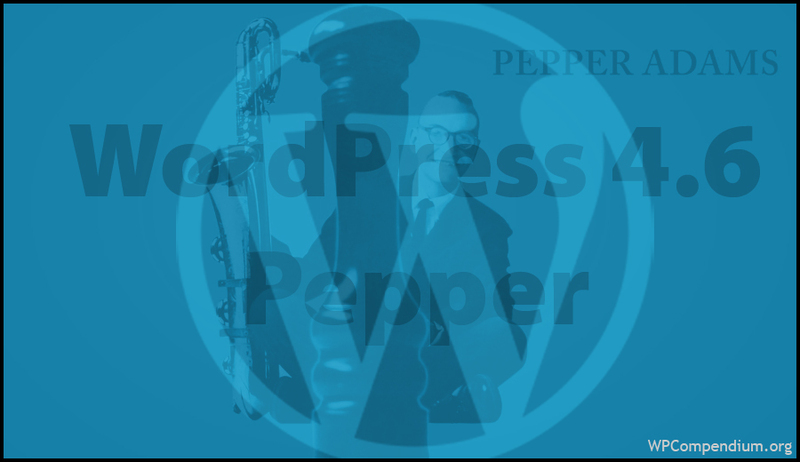 WordPress has just released WordPress version 4.6, named “Pepper” in honor of jazz legend Park Frederick “Pepper” Adams III. WordPress v. 4.6 Pepper, released on August 16, 2016 is all about improving WordPress performance and making administrative tasks faster. In addition to the improvements and enhancements listed above, version 4.6 also includes many other “Under the Hood” enhancements and bug-fixes. Search online for any problems or issues that other WordPress users may be experiencing with the new version. This includes incompatibilities and conflicts with plugins, themes, and other issues (just search for “WordPress v.4.6 issues” or “WP v.4.6 bugs”, then go through some of the results to see what kind of issues and errors users are experiencing). Note: Some of the images on this page have been sourced from WordPress’ own release material. WordPress recently announced the release of WordPress version 4.5, named “Coleman” as a tribute to jazz musician Coleman Hawkins. Learn about the new WP 4.5 updates below. WordPress has just released WP version 4.5, named “Coleman” in honor of jazz legend Coleman Hawkins. WordPress version 4.5 Coleman, released on April 12, 2016 focuses on streamlining your workflow. In addition to all of the above, version 4.5 also includes a number of other enhancements and bug-fixes. Search online for any problems or issues that other WordPress users may be experiencing with the new version. This includes incompatibilities and conflicts with plugins, themes, and other issues (search Google for something like “WordPress 4.5 problems” or “WordPress version 4.5 Coleman errors”, then go through some of the results to see what kind of issues and errors users are experiencing). Note: Some of the images on this page have been sourced from WordPress’ own release notes.